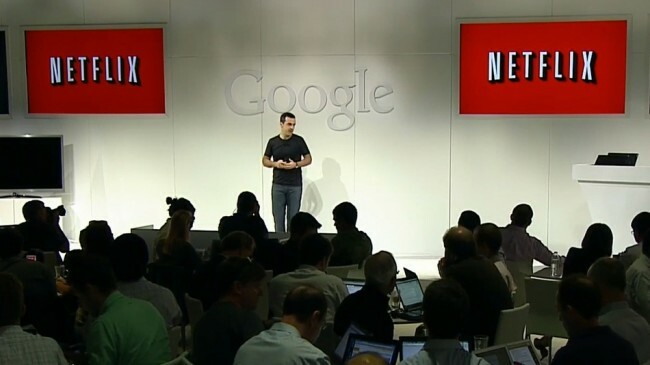 Google and Netflix are teaming up against Internet service providers such as Comcast, which are charging extra fees to content companies to provide faster Internet service. Google stated that they would never enforce fees for direct connection to its fiber network. The advertising and search company allows content-providing companies, like the popular video-streaming service Netflix, inside its fiber ISP lines free of charge via “peering.” Peering enables content providers to connect directly to the network. Google’s director of engineering, Jeffrey Burgan, said in an online post that the content providers are given access to the power and the capabilities of their amenities, and the content providers supply their own content servers. He continued to state that since people are usually only streaming one video at a time, traffic from these websites do not “bog down” or influence their network in any significant way, “so why not help enable it?” Mountain View-based Google, one of the biggest providers of content on the Internet, said that free connections through peering is the most beneficial for all those involved, and the best solution economically. Netflix CEO Reed Hastings scolded interconnection fees that require content providers to pay telecom and cable providers to ensure faster video streaming. Hastings stated that he was “philosophically” opposed to such arrangements. He also stated that free peering is more convenient considering that the company does not need to ship and install servers in the headquarters of content-providing companies around the globe. Comcast argued against the teaming up of Google and Netflix, by stating that there are considerable costs related with delivering the significant amount of video data that services like Netflix carry into people’s homes. They assert that Netflix should shoulder some of the cost instead of anyone who uses a given ISP. The chairman for the FCC (Federal Communications Commission), Tom Wheeler, has said that the FCC will observe complaints made by Netflix regarding paid peering arrangements. Tech enthusiasts have praised Google for teaming up with Netflix, citing that Google could make more money by charging content providers for their ISP, but instead support them, which enables consumers to more readily receive the fastest access to content. Victor Luckeson, from TIME, stated that Google is trying to set standards in all aspects of ISP. Luckeson cites that fiber, from a technical standpoint, is vastly superior to other internet providers (100 times faster than what the average American uses). He also stated that the standard for ISPs allowing for free peering will greatly benefit websites like YouTube and Vimeo, who offer a large selection of videos to the public. Luckeson also stated that Fiber is a ploy from the internet company to “shame” other ISPs into improving their connection speeds in order to create more Google searches, and subsequently more revenue. Google has not replied to this claim. According to an analyst report, Google Fiber could reach eight million homes in the United States by 2022. Google Fiber has not yet been made available to everyone, and only a few select cites have been offered the chance to test the new device. One Response to "Google and Netflix Team Up"